Size of this PNG preview of this SVG file: 800 × 514 pixels. Aðrar upploysnir: 320 × 206 pixels | 640 × 411 pixels | 1,024 × 658 pixels | 1,280 × 823 pixels | 1,400 × 900 pixels. 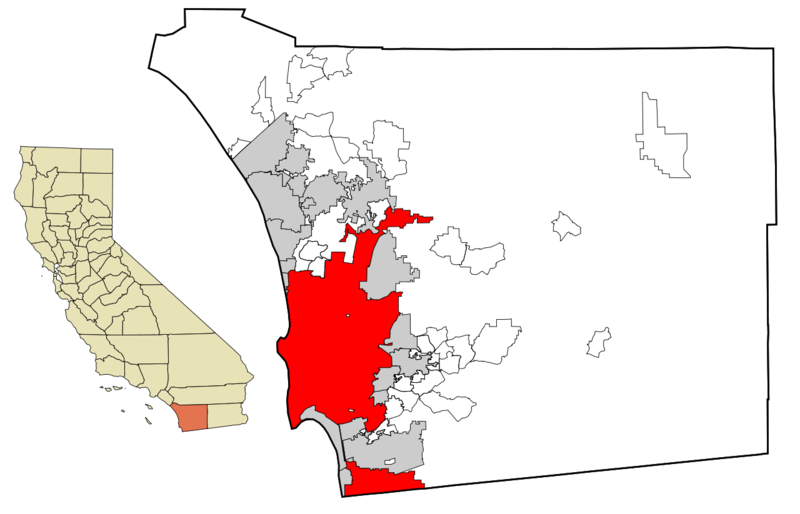 This map shows the incorporated and unincorporated areas in San Diego County, California, highlighting San Diego in red. It was created with a custom script with US Census Bureau data and modified with Inkscape. Tú kanst velja tann lisens ið tú ynskir.